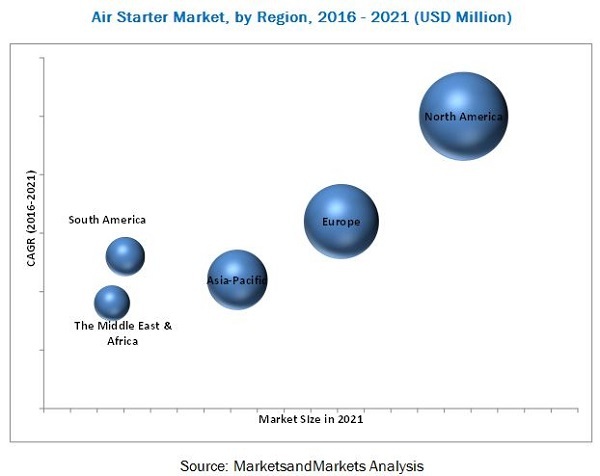 [137 Pages Report] The global air starter market is projected to reach USD 397.0 Million by 2021 from an estimated value of USD 329.7 Million in 2016, growing at a CAGR of 3.8% from 2016 to 2021. Rising demand for compact starters, compatibility to explosive environments, higher power-to-weight ratio, and easy maintenance are driving the air starter market. This research study involved the use of extensive secondary sources, directories, and databases, such as Hoover’s, Bloomberg Businessweek, Factiva, and OneSource, publications of American Trucking Association, National Fluid Power Association, British Fluid Power Association, German Machinery and Plant Manufacturers Association, Association of Equipment Manufacturers, Process Equipment Manufacturers Association, corporate filings (such as annual reports, investor presentations, and financial statements), and publications from trade, business, and professional associations among others. Primary sources are mainly industry experts from core and related industries, preferred suppliers, manufacturers, distributors, service providers, technology developers, standard and certification organizations and organizations related to all the segments of this industry’s value chain. The points given below explain the research methodology. Current demand and trends of consumption of medium and large Diesel engines were understood/analysed globally. Large cubic capacities especially linked to applications in industries such as oil & gas, marine, aviation and mining among others. Diesel engine demand is further bifurcated based on the operating conditions such as operating environments, space constraints, criticality of applications, operating weather conditions split by geographies, and availability of compressed air etc. Key industry opinions and inputs were consolidated and analysed based on the various findings on air starters market. 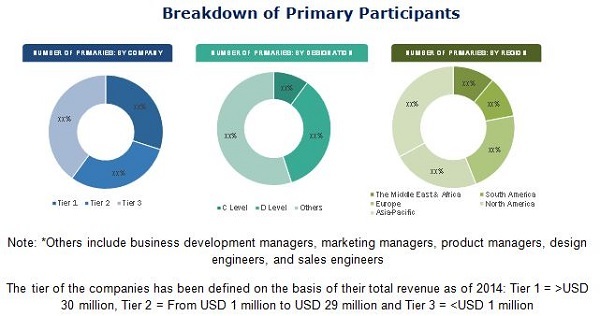 The figure given below shows the breakdown of the primaries based on company type, designation, and region, conducted during the research study. The air starter market comprises a few major and regional players and distributors. Some of the key players operating in the market are Ingersoll Rand (U.S.), Maradyne Corporation (U.S.), Tech Development (TDI) (U.S.), Gali Internacional (Spain), Air Starter Components, Inc., (ASC) (U.S.), and KH Equipment Pty Ltd. (Australia). Other players operating in the market include Shin Hueng Precision Co., Ltd. (Korea), Powerworks (Pty) Ltd. (South Africa), Miller Air Starter Company Co. (U.S.), Multi Torque Industries (Australia), and Industrial Power Units Ltd. (IPU GROUP) (U.K.). Global Air starter market is projected to reach a size of USD 397.0 Million by 2021, at a CAGR of 3.8% from 2016 to 2021. Compatibility to explosive and potentially hazardous environments and compact size of the device are the main driving factors. The report segments the air starter market on the basis of major end-user industries into oil & gas, aviation, mining, marine, and others. The aviation industry is projected to be the fastest-growing end user segment in the air starter market during the forecast period. Rising urbanization, air traffic and increasing pressure on existing aviation infrastructure have led to growing investments in civil & military aviation industry across the globe. In terms of type, turbine starter is the largest and the fastest-growing segment dominating vane starter market. Turbine starters have simpler design, robust construction, and are compatible in almost all applications within the major end user industries which influence their market preference. North America led the market for air starter in 2015, owing to higher adoption of air starter in the region. Major end user industries in the region include oil & gas, aviation and mining. The U.S. is the fastest growing market in the forecast period. The figure below shows the market size comparison of major regions between 2016 and 2021. Prices of major components within air starter assembly are relatively high, making the overall device expensive as compared to electric starters. This confines the growth of air starter market despite its attractive features. However, this price difference has little or no significance especially in applications which involve explosive and potentially hazardous environments, and also which require compact engine starting devices. Offshore oil & gas installations are an example of such environments where application of air starters is almost necessary. 9.5 Oil & Gas . 9.14 Oil & Gas . 9.32 Oil & Gas . 11.4 KH Equipment PTY Ltd.
11.8 Shin Hueng Precision Co., Ltd.
11.11 Multi Torque Industries PTY. Ltd.